James O' Sullivan, known throughout his life as J. O. Sullivan, was born on May 10, 1860 in St. Paul, Minnesota to Irish immigrant parents. At the age of 19, O' Sullivan went up the Missouri River to Fort Assiniboine in Montana and found work as a brick layer for the US government. While there, he witnessed the return of the Sioux and Cheyenne Indians who had fled into Canada after the Battle of the Little Big Horn. They were truly a �wild, unruly lot� was Mr. O'Sullivan�s description of them. After his sojourn in Montana, O'Sullivan returned to St. Paul to attend business college and work until coming to Mandan in 1881. With increasing anti-Irish sentiment in the area at the time, the family was told to it was considered best to Anglicize an Irish surname. James literally 'dropped' the apostrophe in his surname and it became a period. Recollections from his family also discount reports of his "Owen" middle name, and report the name first came into the family with the following generation specifically his son Robert Owen Sullivan. He was employed initially in Mandan as a clerk for his brother-in-law Michael Lang who owned one of the first grocery stores in the city. He also clerked for the Charles W. Van Slyck dry goods merchant. But once he ventured out on his own, over the course of his life he would set a local record of sixty-two continous years in the dry goods business. J. O. Sullivan opened a store here in 1884 and continued its operation until his death in 1946. Sullivan�s store was also distinguished by the fact that in all the years of its operation, Sullivan never had a partner except for his son, Gerald, in later years. 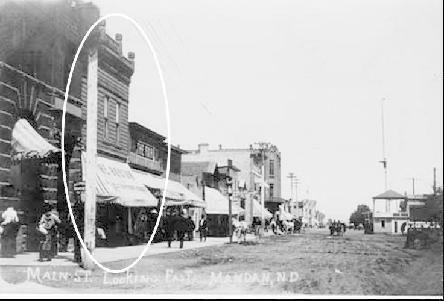 First location of the store was on East Main, after a few years a move was made to the Mandan Hotel block. The next move which proved permanent was to a building constructed for Sullivan by L. N. Cary and later purchased by Sullivan. Store counters in the early days were a simple matter in that many were merely large wooden packing boxes covered with brown paper. In 1884, the store opened under the moniker, "J. O. Sullivan Department Store." 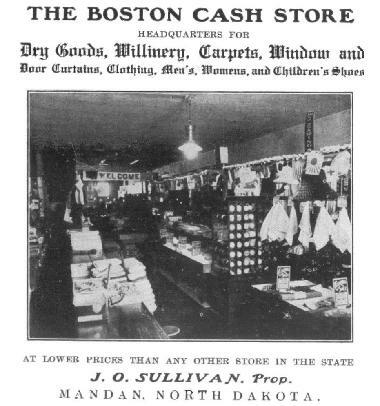 The enterprise was re-named The Boston Cash Store in 1906. Eventually the "cash" word be eliminated. In October 1936, its name reverted to basically its original title "Sullivan's Department Store" when his son Gerald took over as general manager. The store is well remembered for its millinery deparment which for many years was conducted by Martha Sullivan, James' wife. Martha, a child of German immigrants, had been employed for years as a hat designer and a trimmer in Milwaukee, Wisconsin. before moving to Mandan. James and Martha L. Sullivan (born in Wisconsin in March 1870) were married in 1893 and had a total of seven children: Ruth Florence (b. December 1893); Esther Alice (b. 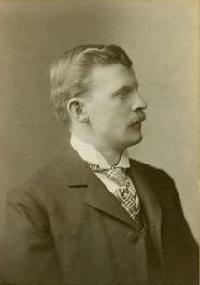 March 1895); James J. (b. January 1898); Robert Owen (August 1900); and James Gerald (b. September 1902) plus one child who died in infancy. The family resided on <?xml:namespace prefix = st1 ns = "urn:schemas-microsoft-com:office:smarttags" />2nd Ave NW in Mandan but J.O. and Martha would eventually move into the boarding house ran by James and Laurine Rice. Gerald took over operation of the store upon his father�s death on July 16, 1946 and sold out in 1948. Gerald subsequently partnered with Richard Baron and Delbert Skjod and operated Men's Mart clothing store in Mandan for many years. In addition to Gerald, another son Robert Sullivan went to law school and was an attorney in St. Paul. A daughter, Ruth moved with her husband L A Wood to Arcadia, California. Another daughter, Esther Schifferman, relocated to Glendale, California. The Society would like to thank James C. Sullivan for sharing information on his grandfather with us.